The sequel to The Present and the conclusion of the Time's Arrow trilogy narrates the struggle of the X-Men and Spider-Man to stop the time-traveling madman, Kang the Conqueror, from destroying the 'multiverse.' Original. 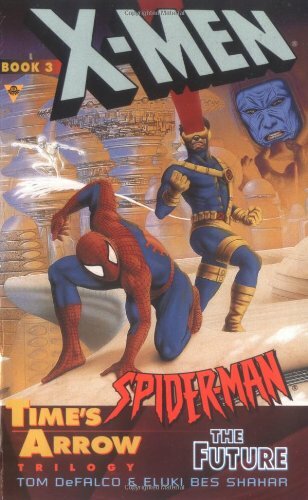 Amazon.com description: Product Description: The sequel to The Present and the conclusion of the Time's Arrow trilogy narrates the struggle of the X-Men and Spider-Man to stop the time-traveling madman, Kang the Conqueror, from destroying the "multiverse." Original.